DOW FilmTec Commercial RO Elements 2" to 4" FRP-Wrapped | Applied Membranes Inc.
DOW FILMTEC offers a variety of low energy and high rejection FILMTEC reverse osmosis elements for small commercial operations such as car washes and resort applications. FRP-wrapped elements are recommended for systems with multiple-element housings containing three or more membranes, as they are designed to withstand higher pressure drops. DOW FILMTEC HR elements offer high rejection for excellent water quality and reduced downstream polishing. RO membranes remove dissolved impurities such as chloride, lead, chromate, fluoride, bacteria, and others. Click here to view the nominal rejection characteristics of thin film membranes. BW30 elements provide longer life due to increased resistance to fouling and high cleanability. LC & LE elements reduce operating costs due to lower energy requirements. LE HR high rejection elements produce excellent water quality, reducing the downstream polishing required. 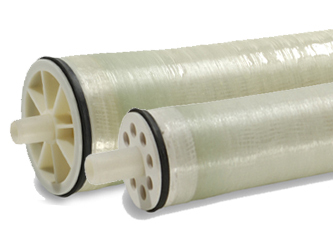 DOW FILMTEC BW30-4040 brackish water reverse osmosis membrane elements offer consistent, exceptional system performance in light industrial applications. With the thickest feed spacer (34 mil) available in the industry today to lessen the impact of fouling, they may be cleaned over a wide pH range (pH 1-13) for the most effective cleaning. 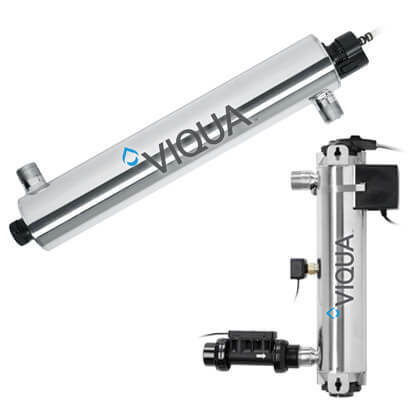 The DOW FILMTEC LC 4040 product range are available to meet a wide variety of customer needs in commercial applications, from producing high purity water to delivering low total system costs. DOW FILMTEC LE-4040 delivers high performance at low pressure resulting in less energy usage and lower costs. LC LE-4040 delivers high quality water at low pressure at harsh water conditions, using Dow’s innovative, proprietary technology for low energy applications. DOW FILMTEC LC HR-4040 in a high rejection element that produces high quality water with our state of the art RO membrane. Permeate flow and salt rejection based on the following test conditions: 2,000 ppm NaCl, applied pressure as above, 77°F (25°C) and 15% recovery. LC LE-4040 replaces BW30LE-4040 & LE-4040 (275173). DOW FILMTEC BW30-2540, BW30-4040, LE-4004, LC LE-4040, and LC HR-4040 elements are FDA – 21 CFR 177.2550; Food and Drug Administration Compliant.